Buena Vista High School senior, Berlin VanNess received the $500 second annual Kent Haruf Memorial Writing Scholarship at an awards banquet Sunday, May 7, 2017. VanNess wrote “Running With the Wind,” a creative nonfiction piece. She plans to attend the university of Colorado-Colorado Springs, majoring in biology and pre-med, and to continue writing poetry. Michael White, a Canon City High School junior, received a $100 honorable mention scholarship and a certificate. White wrote “Banjo and Freedom: Do Your Part,” a fiction piece. 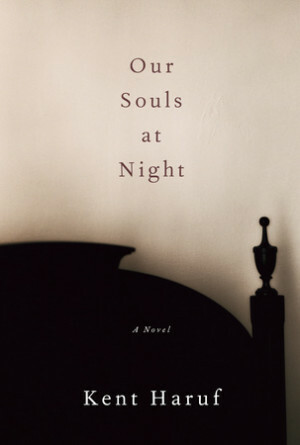 Haruf’s widow, Cathy Haruf, presented Lyons with her $500 award and a copy of Kent’s last novel, Our Souls at Night, after Lyons read her story to the audience. Lyons also was awarded a writing coaching session with Salida writer Susan J. Tweit. “I’m honored to have received this award and very thankful to meet with a published author,” Lyons said. Mary Reim, Lyons’ teacher at Cañon City High School, was also honored at the banquet. The Kent Haruf Memorial Scholarship is open to junior and senior high school students in Fremont and Chaffee counties, the two counties Kent called home in Colorado. Find out about the 2016 Scholarship. Their brave adventures—their pleasures and their difficulties—are hugely involving and truly resonant, making Our Souls at Night the perfect final installment to this beloved writer’s enduring contribution to American literature. Will be available in hardcover and ebook formats. This entry was posted in News and tagged haruf, kent haruf, knopf, may 2015, our souls at night, publishing, salida. Benediction is Haruf’s first novel in eight years. 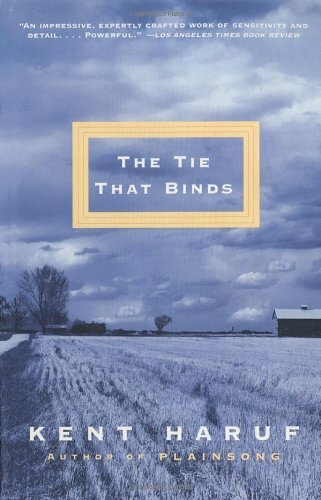 Eventide, his sequel to the 1999 National Book Award nominee Plainsong, came out in 2004. Those two novels, paeans to small-town life, feature characters from multiple generations whose joys and sorrows intersect with those of the McPheron brothers, two aging bachelor farmers whose lives change after they take in a pregnant, homeless teenager in Plainsong. In terms of showing their emotions and acting on them, my women characters are a lot more advanced than the men. Haruf introduces completely different characters in Benediction, with a widow and her daughter at the center of stories of ordinary folks trying to prevail under difficult circumstances: an elderly couple deals with the husband’s terminal illness; a young girl moves in with her grandmother after her mother’s untimely death; and an opinionated preacher, newly arrived from Denver, alienates his congregation and family, with consequences for his teenage son that are almost tragic. This is how Haruf conceptualizes all of his creative writing, he says. He muses upon the novel’s primary characters, their lives, and how they contend with their problems because “a main character always has to have problems.” He then builds communities of people around those characters. Perhaps this ability of Haruf to adeptly move into the heads of the different characters he creates and weave stories about their lives comes from all the living he’s done. After graduating from Nebraska Wesleyan University in 1965, Haruf spent the next two years serving with the Peace Corps in Turkey. Since then, he’s worked in rural areas and big cities throughout the Rocky Mountain region and in the Midwest, holding jobs at a chicken ranch, construction site, and railroad, and in hospitals, schools, universities, and an orphanage. He also spent two years at the University of Iowa’s Writers’ Workshop, receiving an M.F.A. in 1973. Even though Haruf has set all five of his novels in eastern Colorado, he adamantly rejects the notion that his writings are in any way regional.